This is the "Event Detail" view, showing all available information for this event. If registration is required or recommended, click the 'www.registertdf.com' button to start the process. If the event has passed, click the "Event Report" button to read a report and view photos that were uploaded. For questions about registering, contact Events@CAAMEvents.com. 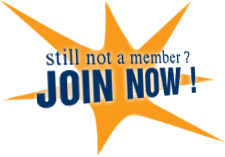 For questions about membership and coupon code, contact Membership Director at Membership@nfbc.us. The North Florida Bicycle Club brings you a one-day bicycle event for all road cyclists, the 28th Annual Tour de Forts Classic SM. Come ride with us in the footsteps of history on coastal roads past the Castillo de San Marcos to Fort Matanzas. On the longer routes ride through farmlands, on the Palatka-to-St. Augustine State Trail and along the St. Johns River. Take your pick of five routes: 25, 40, 58, 77 and 100 miles. Arrive on Friday or Saturday and make your ride a weekend getaway. Spend Saturday visiting Florida's Historic First Coast and exploring the ancient City of St. Augustine. Average temperatures in late April range from the 60s to the 80s for perfect biking and sightseeing weather. There is plentiful hotel space with packages available as well as camping. The 2019 Jersey available soon! Registration for this event is through CAAM/Race Roster. Login and you will see your discount Promo Code. Write it down. There will be a button there that will take you to Race Roster Registration. Use the general Registration button and enter your Code in the Promo Code window during your registration. If you are a non-member, just click the Register Now! Non-members cannot get the Promo Code. If you wish to get the Member Discount you may do so by first joining NFBC, then logging into our website and getting the Promo Code. Click here to volunteer to help with the ride?